Given the case of a civil aviation industry lost in its tracks, I write at a time of extraordinary leap in aviation across Africa aiming to shine bright lights on ideas into the future. Despite successive years of failures, the intention is not to point fingers at the upper echoes of Gambia Civil Aviation Authority in their ways, but to provoke thought asking pertinent questions as to reason(s) why the agency has failed to live up to expectation. First established under the Public Enterprises Act as an autonomous body some twenty-five years ago, an examination on the agency found it to be losing millions of dollars in potential revenue for lack of ambition by its top-tier. On its mission statement, GCAA strategised ‘to provide the best airport and air navigation facilities in the sub-region and regulate flights to international standards.’ But I have to say to the Direction General, Abdoulie Jammeh, that is the bare minimum expected of his organisation suffering from both amnesia and shrinking cash shortages. 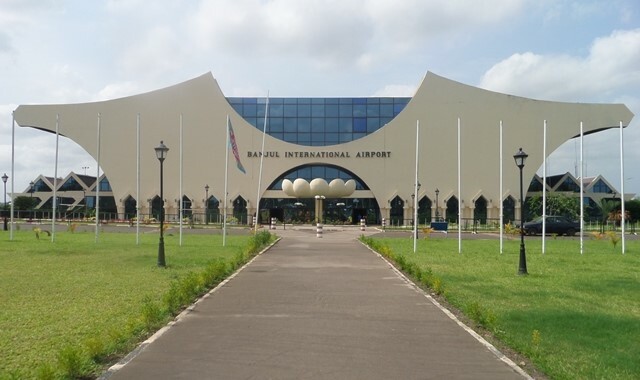 Given a world of much promise and limitless possibilities in air travel, one is at a loss as to low levels of aircraft activity at Banjul International yet to be frequented by globally known airlines. The management has got to deeply reflect on its history and come up with fresh ideas reaching out to Qatar airways, the Emiratis and to emerging economies in Asia and elsewhere. More crucially, however, the Gambia Civil Aviation Authority shall never regain public trust and confidence until it follows on the footsteps of Ethiopia, Senegal, or Kenya Airways by procuring its own nationally branded Gambia Airways planes flying to cities around the world. In an era of globalisation looking at continental rivals, the Gambia desperately need to regrow its airline industry in smarter ways profitable to the country. As we ponder on nostalgic memories, it is envisaged that our universities will soon begin to graduate engineering talent and such disciplines. What the public want to see is ambitious leadership exhibited in visionary CEO’s and GM’s; but what we seem to be stuck with over the years is a team content with sitting around airconditioned offices picking up a monthly paycheck. I ask you to look at china, or travel to Dubai international, or Morocco see the mindblowing airport facilities and up-to-minute arrivals and departures raking in millions by the day for those countries. A closer look at Senegal will show the sister-republic opening a brand new airport on the outskirts of Dakar with capacity for ten million passengers yearly. For a country of barely two million, I am sick and tired of institutions like NAWEC complaining about monetary constraints as eternal excuses for failure. Do your research & maximise your staff and talent at hand, and look for extra capacity building programmes that do not consume a butut of your budget through UN, Commonwealth and such multilateral offerings. And since ThomasCook and SN Brussels dominate landing spots at Banjul Airport, effort should be made to have Gambia trained pilots, aircraft engineers, etc as part of the memorandum of understanding. In such contractual agreements, plans should be included to secure technical expertise training for prospective Gambians across the board, yes even pilots. The problem seems to be we have very bad negotiators contend with what ever is offered by the adversarial party. On a recent chat with an official, it was put to me that GCAA is on the look out for investment opportunities to transform the airport by building a new hotel, Supermarket, Petrol station etc. Personnaly, I’m ok with that as long as the projects will be of quality standard; and that potential investors are made of fair characters not just seeking quick profits to be siphoned out of the country. Ideally, I’m all for management reshuffle or atleast a clear direction on the way forward for Gambia’s airline industry. Reinventing Gambia Airways will allow for the production of qualified Gambian-pilots, trained aircraft engineers, flight attendants, airline beverages industry, and many such new projects adding value, jobs and wealth to the nations GDP upshoot. May I appeal to the administration to use the funds gathered from sold Yahya Jammeh extravacant jets to buy new aircrafts for the reinvention of Gambia Airways. Please, let the country strategise and for parliament to legislate a new start in the country’s airline industry. We cannot let that money disappear into thin air nor as supplementary budget. The government need to quickly produce its development blueprint simply because every decision matters. Across Africa, empirical evidence has shown a direct link between the failure of leadership and the rundown of democracy & development. A mixture of capitalism and social service provision to cater and uplift the most needy members of society out of poverty. It is therefore with angst that I observe Finance Minister Sanneh getting little cosy with the IMF looking to influence Gambia’s economic governance in exchange for aid. What the country could, and should be is a social-democracy as the norm in scandinevian countries, South-Africa, UK, and every other prosperous nation-state. I challenge all Gambians, especially the opposition political parties, to be observant and suspicious of any government when it start selling state owned entities, as the fate with ‘’Saaroo’’, NTC, GPTC and other parastatals creating jobs & convenience for everday Gambians – lost to Jammeh’s era. In the United Kingdom, both Queen and Prime Minister fly #BritishAirways, whilst the French president travels the world in #AirFrance. It makes one question the decision-making skills and judgement of morally bankrupt African leaders unable to strategise for domestic industry. But I have to say how refreshing to see the Senegalese government adopt best practices as to #AirSenegal ferrying President Macky Sall on foreign travels. Every international destination the presidential plane lands offers publicity, but also savings for the Senegalese taxpayer in that money stays in the country. Just imagine the prestige of flying GambiaAirWays on the Banjul/London route, or Banjul/NewYork, or Banjul/Amsterdam an so on. How about, just perhaps, the Banjul/Beijing route someday. It would be wise for AirSenegal and a supposedly Gambia Airways to join forces, amalgamate to form Senegambia Airways as a force of good, profits, and regional pride flying Africa and worldwide. There will always be passangers given a business community and a diaspora on a constant move. 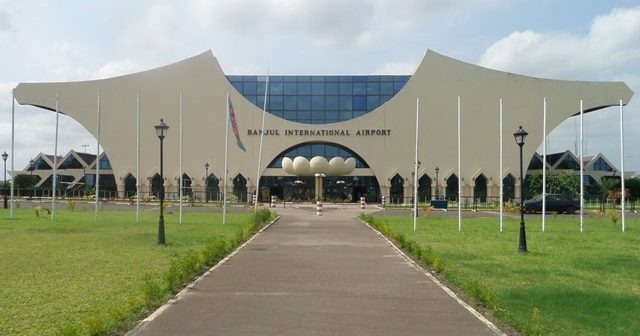 I however recognise the fact that Banjul international continues to meet high compliance ratings with regards to airport security and safety matters. I also acknowledge infrastructural improvements and standardised scanning technology on contraband items at entry/exit points, giving due credit to GCAA leadership. But I am yet to be satisfied so long Gambia Airways planes aren’t materialised showcasing wing and the country’s flag across the skyline.